The Washington, D.C. metro transit system operated by Washington Metropolitan Area Transit Authority (WMATA) has been in the news a lot in the past decade, and none of it has been for positive reasons. We have seen reports of trains crashing and people injured and killed and a train trapped in a smoke-filled tunnel that caused the death of one victim. We have seen reports of workers injured or killed, and numerous safety violations, as well as a seemingly never-ending barrage of accusations of financial mismanagement. 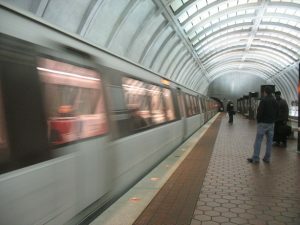 In yet another recent news article for the Washington Post, we learn that five fired metro track workers are now suing WMATA on various claims, including discrimination and the creation of a hostile work environment. These workers had all been employed in the transit systems track inspection department. Two of these plaintiffs were track walkers and two of them were department supervisors. The last employee was a maintenance engineer.In their complaint filed in the U.S. District Court for the District of Columbia, plaintiffs have alleged that their former employer has demonstrated no evidence or valid reason for their being terminated and argue that it was done for discriminatory reasons. They further argue that agency needed workers to blame for the slew of problems and safety issues alleged by the National Transportation Safety Board (NTSB) and essentially scapegoated these workers because they were black. In addition to seeking damages for the alleged wrongful termination, they are also seeking back pay for the time missed at work after their termination. As our Los Angeles workers’ rights attorneys can explain, any termination of an employee or even a disciplinary action short of termination that is done for racist, discriminatory, or retaliatory reasons is not permitted, and you may have a valid claim for damages against your employer. However, there are a lot of complexities in these types of cases, so you should speak with an experienced employment attorney about the facts of your actual situation. These firings, which involved around half of the track inspection department employees, were in response to reports that track inspection records had not been kept accurately. It was discovered that there were problems where rails were drifting apart after one train derailed last summer. This was not the type of derailment where the train rolls over and many people are injured or killed, but the train did reach a point where the rails had drifted apart to the point where they were wider than the rails on the train. This caused the train to skip off the rails and come to rest in the gravel of the railroad bed. This was a source of embarrassment for WMATA. While metro denies that the firings were in no way connected to the race of the plaintiffs, the plaintiffs clearly disagree with that assessment. The plaintiffs also argue that they told management of the problems with the tracks drifting, but no action was taken until the Silver Line train derailed last summer, and they were fired shortly thereafter.